LAS VEGAS, NV – This February is National Library Lovers Month and Las Vegas is celebrating is a big way. The Las Vegas-Clark County Library District is celebrating with an exciting announcement. They are partnering with the Vegas Golden Knights organization. 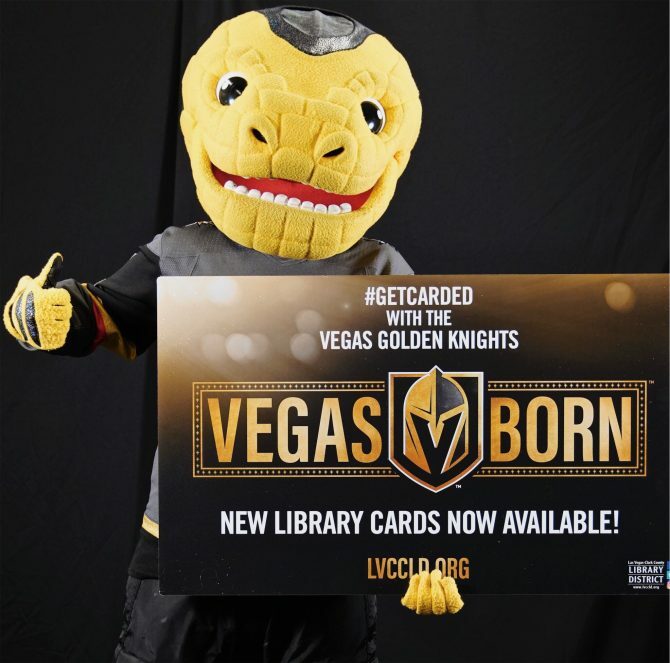 The partnership kicks off with the launch of a special new show of pride that both fans of the library AND our hometown hockey heroes alike will want to own – the new Vegas Golden Knights “Vegas Born” Library Card.